Susana Oliveira works at EAEA member EPATV – Escola Profissional Amar Terra Verde, a VET school and adult education centre in the north of Portugal. At the school, she is in charge for searching for more and better conditions for social integration of the students (young adults), but she is also involved in transnational cooperation. 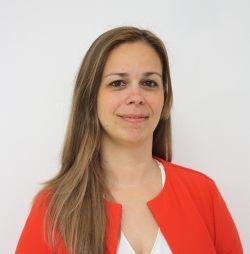 She was responsible for the implementation of one of the first 50 centers of VNFIL in Portugal and has been working in this field for more than 15 years. She is also a Board member of APCEP – Associação Portuguesa para a Cultura e Educação Permanente, the umbrella association in Portugal, and EPALE ambassador. She is an EAEA board member since 2013 and one of its vice-presidents since 2015. Being active on European level, gives us the opportunity to work for a change in people’s mindsets in what concerns adult education. It is a constant challenge in terms of innovation and sustainability. Adult education seems to need for a continuous justification for its need.